You know when you’re running and you accidentally yank out your earphones? Or when the wire catches onto someone’s purse when you’re sprinting on by them downtown? I hate when that happens. It takes you out of your zone, and then you’re busy fumbling with getting them back on instead of focusing on your run. It turns out they’re simple to connect–you just need to enable and connect them via Bluetooth (something even technologically challenged me was able to do). I used them on a handful of short runs, and enjoyed the freedom of not having the fussy wire to deal with. Plus skipping songs, and pausing the workout is simple, just a tap on button on the right earphone. It also has a built-in FM radio, but I usually run with Songza or my iPod on shuffle as I use Nike+ Running so I never tried the radio. The sound quality is good, and they fit comfortably (and btw, they come with a variety of eargels so you’ll likely find one that fits well for you!). I decided to use them for running Around the Bay (where I ran a personal best on Sunday!) even though I knew it was risky given I’d never done a long run with the earphones. I did bring an extra set of earphones, just in case. And I’m glad I did as not even one-third into the race I got a warning of low battery. I checked my iPhone, which had 71 percent. I got two more low-battery warnings and then all I had was silence and not the sweet sounds of NKOTB in my ears. Love the earphones (I feel more streamlined without having a messy wire to deal with during runs) but I would refrain from using them in the very long runs. 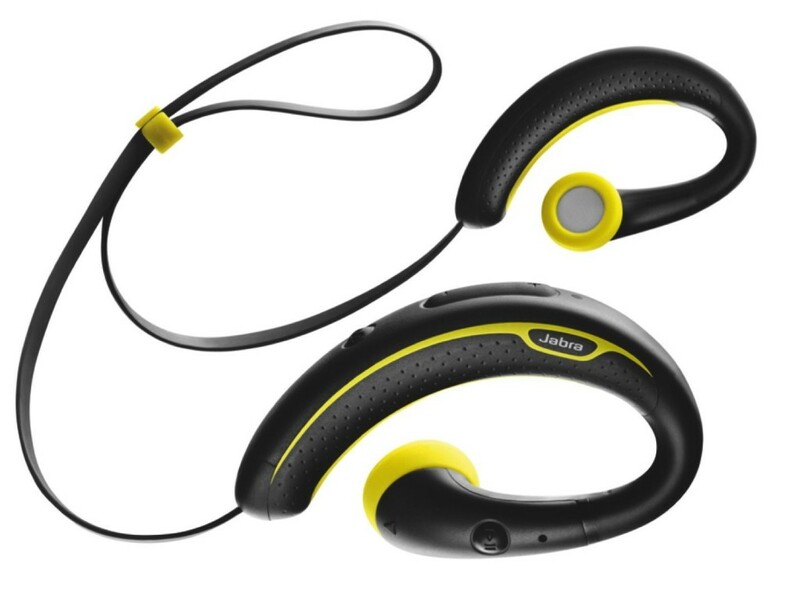 Jabra says the earphones will provide 4 hours of battery life, but I’ll just stick to using them on my runs of up to a half-marathon or so to be safe. I always thought bluetooth earphones were the greatest invention ever, but I never got to try them because I was worried they would drain my phone’s battery. Now I see this model has a charger, so that probably means there will be no more battery drainage than that of the Bluetooth. Thanks for the review, I’ll definitely consider these!